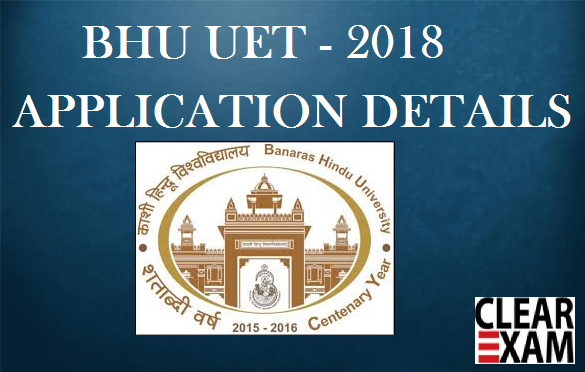 Banaras Hindu University will conduct its undergraduate entrance exam or UET for 2018 in the month of May 2018. The application forms will be out by last week of January 2018 and students will get time till last week of February 2018 to complete their filling of forms. For registration, the first step is that one needs a valid email id. The important point to note here is that the email id will be used for all future correspondance so give an email id which is valid and functional and one which you generally use and remember the password of. You will sign up for registration on the official site for which you will need to choose a password. This password should be a min. of 6 characters and should be alphanumeric. Then enter password again to confirm the password. Then you will be asked to furnish information such as your full name, date of birth, gender, names of your father and mother, address and phone number. The phone number should be in use currently because you will get SMS alerts on this number such as information about the call letter in case you get selected. Finally, press the signup button. What is also pertinent to note here is that all fields marked in red should be compulsorily filled. Once the candidate has filled all the details the screen will show a confirmation message. You will also simultaneously get a email on the email id which you provided and a message on your phone number. The email id will consist of a link and the phone number will contain a validation code. You have to click on this link provided in the email. This link will then ask for the validation code which you obtain in the message which you get on your phone. Once you enter the code then your process of registration is complete. Once you have signed up then you will need to pay the fee. The fee is Rs. 500 for all categories except SC/ST/Physically Challenged and Rs 250 for SC/ST/Physically Challenged . You can pay online using credit or debit card or offline by cash using a challan which can be made in the name of any branch of HDFC bank. Next up you should click on the course of your choice and you will be forwarded to the message about the prescribed amount. Pay the amount and review the payment. Save the summary and your application will be updated within 24 hours. You will also need to upload a photo and your signature. Both these documents will be in jpg format and the photo dimensions are 4.5 cm x 3.5 cm. Both files should be of the size 100 kb. The photo must be a colored photograph. The signature should be done only in either black ink or blue ink on a white background. Once these steps are done then you need to select the test centre of your choice. You can only select a city once so enter this information very carefully. Your application would either be accepted or rejected on the basis of eligibility criteria. Point to note is that you can only fill the application in online form and not offline. Once you have filled the online application form then you have to take a print out of the form. 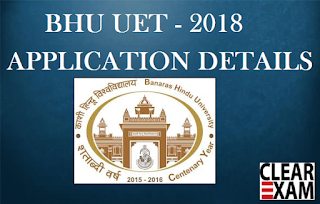 The BHU UET 2018 application form will be successfully submitted only after due fees is paid. Keep a copy of the application form with you for future reference just in case. This completes all information that you need to know about filling the online application form. Good luck.